Pansy flowers come in a plethora of colors, lending color to garden borders and planters as they bloom throughout the summer. 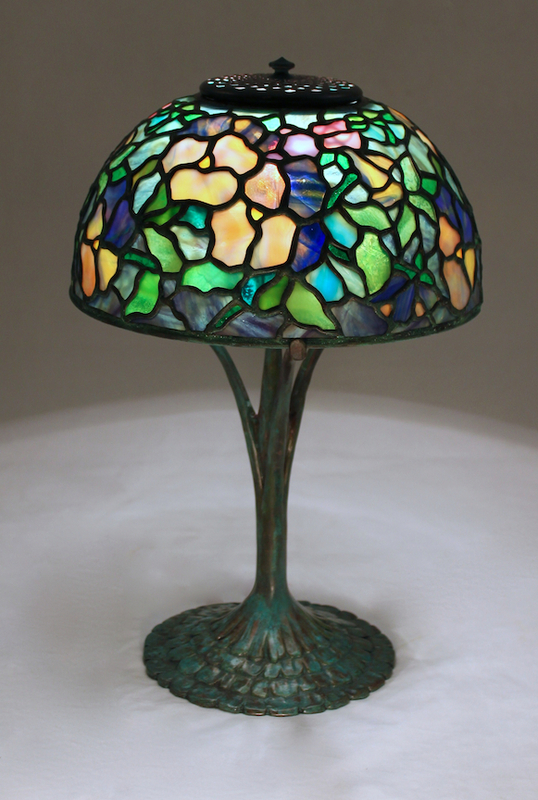 This 10″ Pansy shade is an original Century Studios lamp design which was inspired by Tiffany Studios 16″ Pansy shade. We created this compact accent lamp using a blended color palette of blues, purples, light peachy-yellows, and greens. The shade is shown on the Ruffle base. This lamp is currently available for purchase in our showroom.